My husband and I love cast iron cookware, but don’t get to fully utilize our collection on our glass top stove. 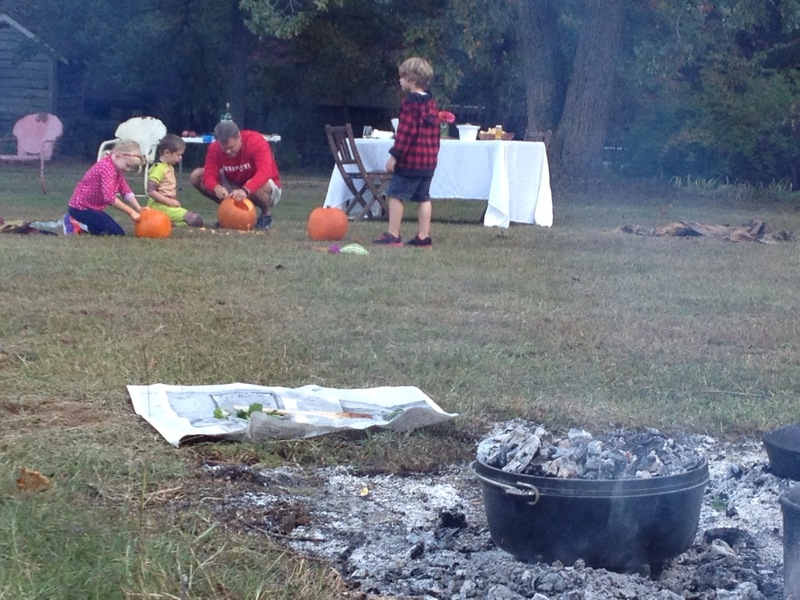 So, why not have an impromptu harvest party? The weather was gorgeous and cool enough for an outdoor fire. 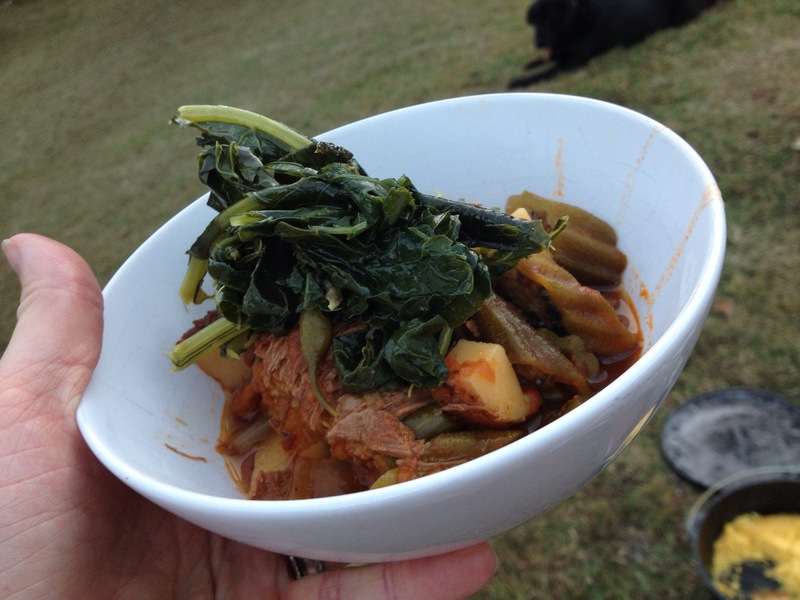 I dug some venison out of the deep freeze and simmered a stew all day. We made cornbread in the Dutch oven and sautéed greens that came straight from the garden, minutes before (the kiddo added a wild onion for extra measure). 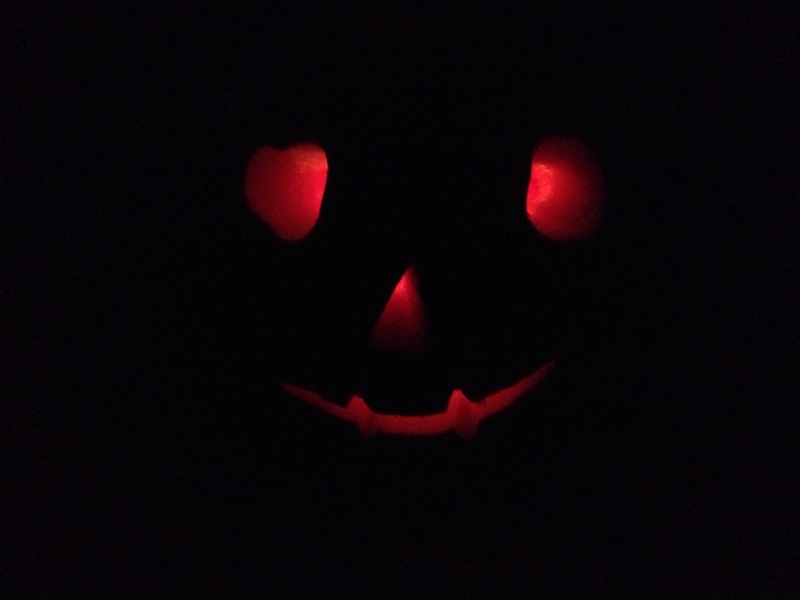 The kids got messy with some jack-o-lanterns and ran around like banshees in super-hero costumes due to a misunderstanding by my husband about the V8 “energy” drinks. Of course, no outdoor fire is complete without roasted (chargrilled) marshmallows. What a beautiful evening to finish a great weekend.